Don’t Cry For Me Detroit! Received this in an email. It needed to be a post on my blog. This is truly an incredible article. We are in deep trouble in this country today gang. I hope this scares all of you into doing something about our immigration policy. For those of you think that this gang of eight immigration bill is a good idea, just keep singing “We Are The World” and embrace multiculturalism, which has never worked in society. The rest of you need to call your Congressman. Thanks to our elected officials in Washington, this is coming soon to a city near you. You asked for it. You voted for it and now you are getting it. Tens of thousands and then, hundreds of thousands today exist on federal welfare, free housing and food stamps! With Aid to Dependent Children, minority women birthed eight to 10 and in once case, one woman birthed 24 kids as reported by the Detroit Free Press—all on American taxpayer dollars. A new child meant a new car payment, new TV and whatever mom wanted. 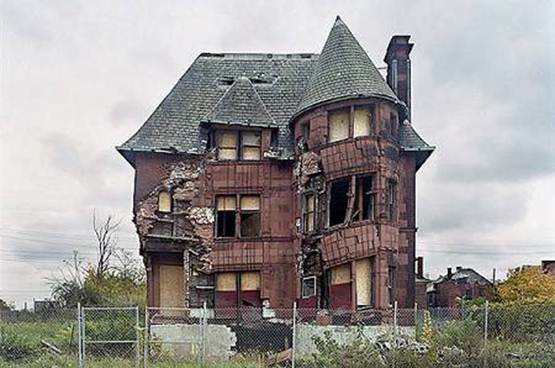 I saw Lyndon Baines Johnson’s “Great Society” flourish in Detroit. If you give money for doing nothing, you will get more hands out taking money for doing nothing.